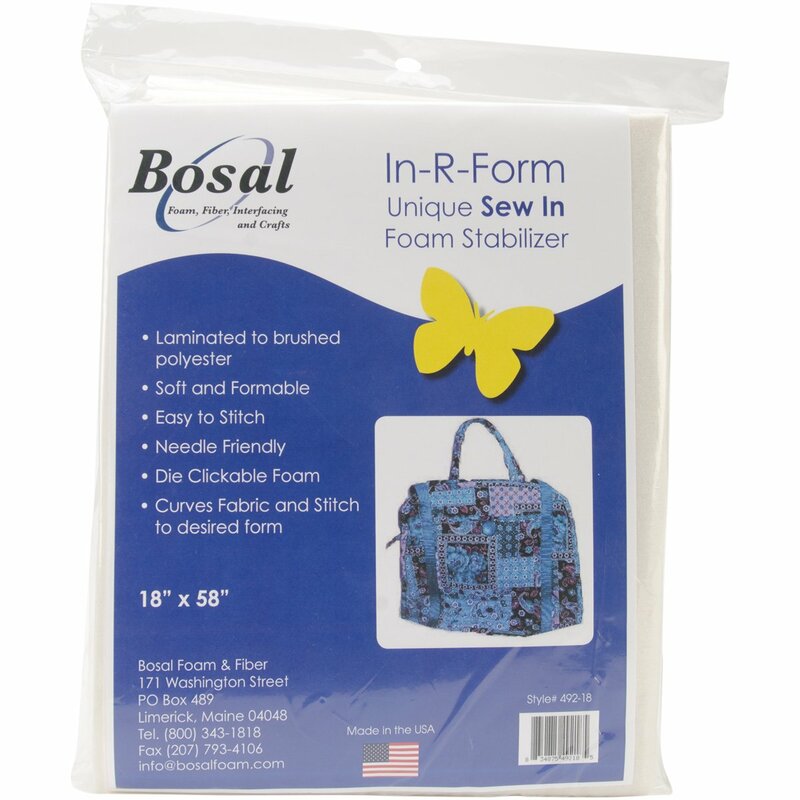 BOSAL: In-R-Form Sew In Foam Stabilizer. This soft and formable stabilizer is easy to stitch and needle friendly. This package contains 18 x 58 in. of white foam stabilizer. Features. BOSAL In-R-Form Sew In Foam Stabilizer.. This soft and formable stabilizer is easy to stitch and needle friendly.. This package contains 18 x 58 in. of white foam stabilizer.